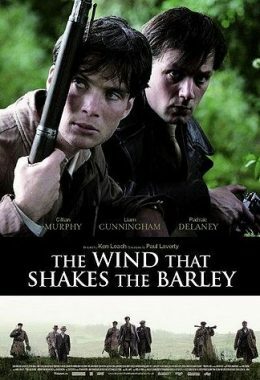 Ireland, 1920: workers and peasants fight a guerrilla war against the ruthless “Black and Tan” squads that are being shipped from Britain to block Ireland’s bid for independence. Driven by a deep sense of duty and a love for his country, Damien abandons his burgeoning career as a doctor and joins his brother, Teddy, in a dangerous and violent fight for freedom. As the IRA’s bold tactics bring the British to the breaking point, both sides finally agree to a treaty to end the bloodshed. But, despite the apparent victory, civil war erupts and brothers who fought side by side find themselves as enemies.